You’ve probably used oregano in cooking thousands of times...but have you thought to take it as a supplement? Oregano has long been held in high regard for its beneficial qualities and contains a number of valuable constituents, including naturally occurring antioxidant phytochemicals. Oil of Oregano is a concentrated extract providing the goodness of this prized herb in a convenient softgel. 90 softgels. Other Ingredients: Olive Oil, Gelatin, Vegetable Glycerin, Purified Water. Oil of Oregano 1500mg is rated 5.0 out of 5 by 10. Rated 5 out of 5 by Simba from Great Great product. I really like it comes in a pill form. Rated 5 out of 5 by trisha007 from Excellent product Will not use any other brand. Rated 5 out of 5 by Valfreure from Great Product I use Oil of Oregano daily. This product does not leave an after taste like many oil of oregano products do. 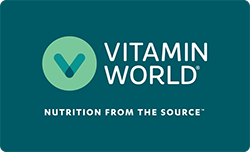 I only buy the Vitamin World brand now for this exact reason. Great value and am very satisfied. Rated 5 out of 5 by Tramital from Excelent product I like this product very much. It works for me. Rated 5 out of 5 by Cardie88 from Product that worked right away As soon as I started taking this, within 2 -3 days, my dry eyes began to have more fluid and have been better since. Rated 5 out of 5 by Anonymous from Excellent product! Oil of oregano is my favorite! I take it daily to maintain overall good health! Rated 5 out of 5 by Lulu from Excellent Product Simple, easy way to order and a great price for the product.